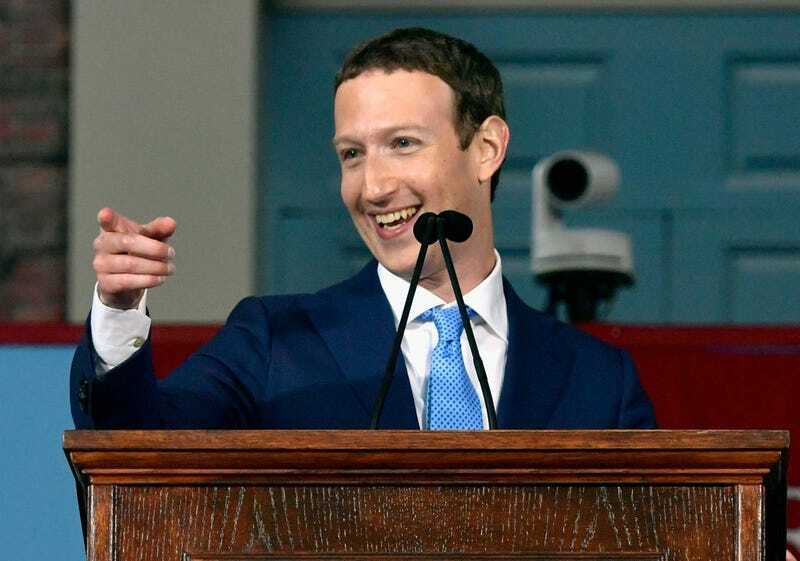 Mark Zuckerberg is going to run for president. He has subtly filtered out his less nationally acceptable views—disavowing his onetime atheism, for example—while hiring Hillary Clinton’s chief strategist and touring the country and spouting policy initiatives that pretty clearly transcend the scope of running a social media company. And when he does run for president—which, again, is going to happen—it will be a riotous comedy of errors, a ceaseless parade of “please clap”-like moments as his social ineptitude crashes headfirst into the staged customs of the American political process. It takes a rare kind of person to thrive within those settings, flashing focus-grouped smiles after every sentence and connecting with people based on glancing eye contact, and Mark Zuckerberg appears to be the diametric opposite of that sort of person. Nobody has ever wanted to have a beer with him. It’s not just the telling slip of the tongue, when he very normally remembers once being human, but the way that he then reassures the audience of his humanness by logically explaining why, no, he is still human. It’s a good tipping-off point to remember other wonderful moments of Zuckerbergian “humanity” past. Howard Dean’s campaign got upended by an awkward yelp; Jeb Bush’s did by a thousand tiny listless moments of glassy-eyed ineptitude. Over the next few years, Zuckerberg will make both of those candidates seem like Bill Clinton by comparison, but the Democrats will probably still run him because they are dogmatically tied to the vanishing myth of the centrist swing voter. Nothing says “middle America” like erstwhile human Mark Zuckerberg, after all.